Need a new case that is light-weight, thin and protects the iPhone screen? 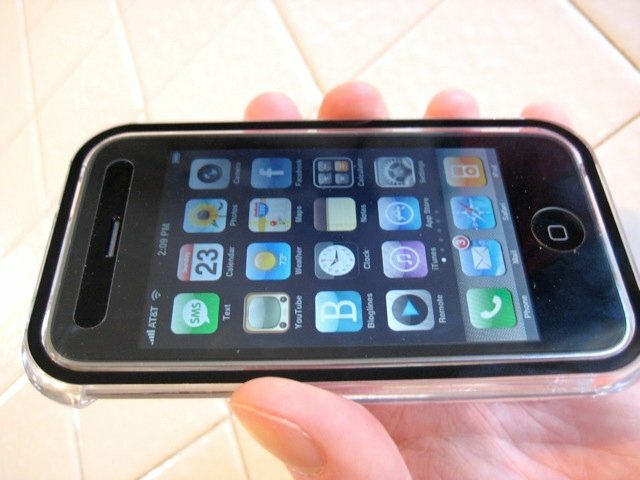 Look no further than the Case-Mate Naked Case Touch Through Acrylic Case for iPhone 3G! This case is available for $34.95 from the Phone Different Store. 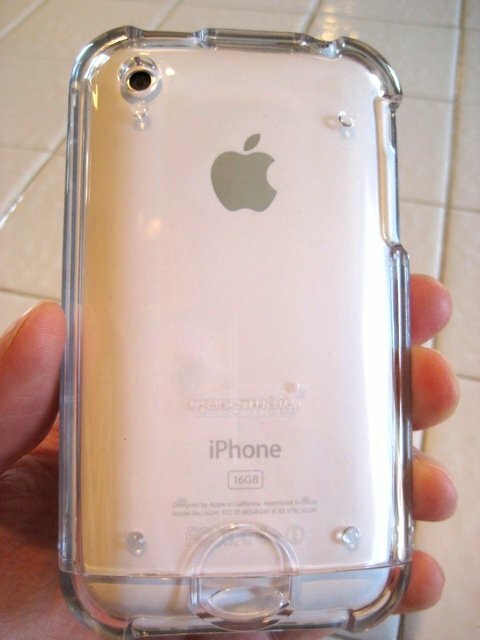 This case totally encompasses your iPhone protecting it from any accidental damage. How does it work? Read on for more information! 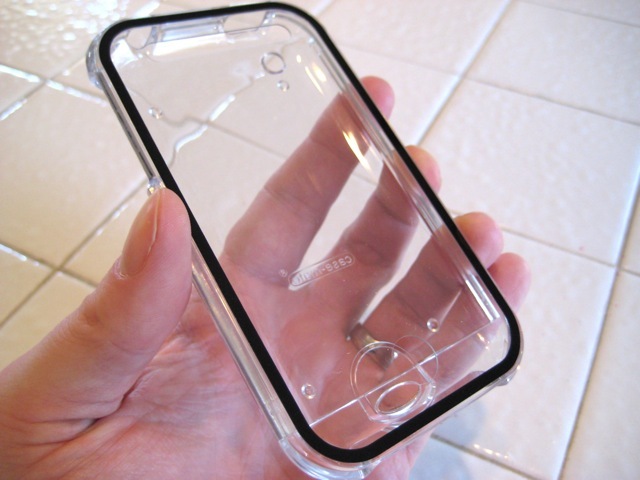 Case-Mate's Naked Case comes in a few different colors; black, white, grey, pink and clear. 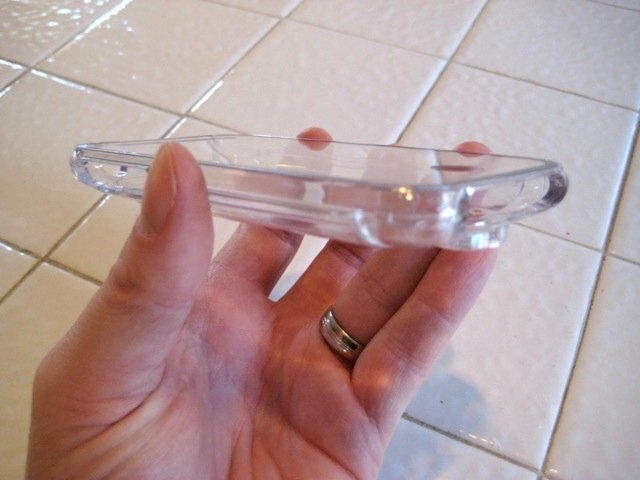 In this review, we are looking at the "clear" case. The design allows for a simple two-piece solution. 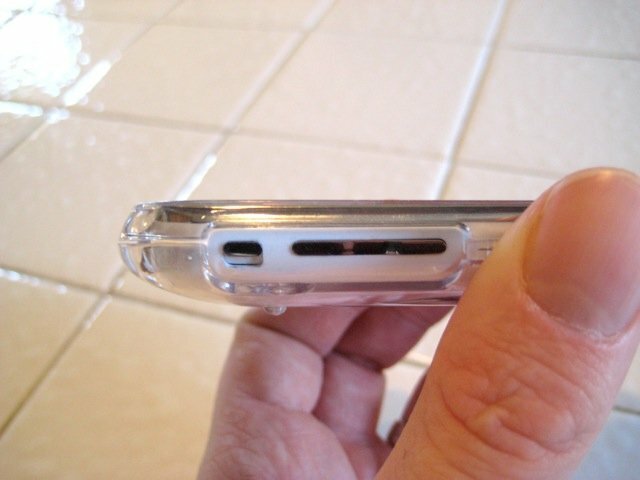 The two section of the case slide together, seamlessly snapping at the bottom of the case, by the iPhone's dockng port. The top half has openings for the front sensors, power button and volume controls. 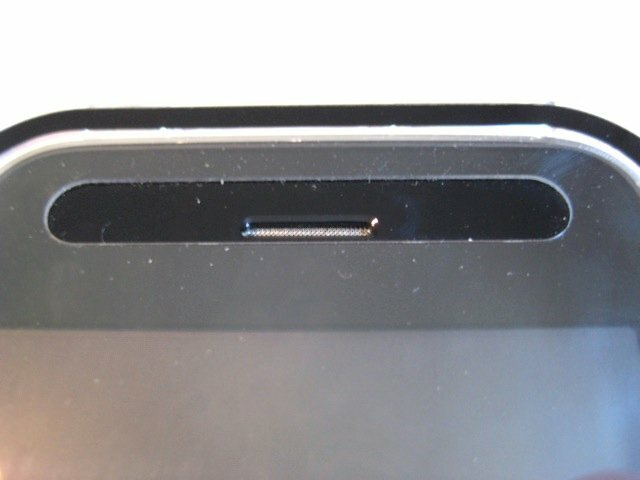 It also have an elegant black outline covering the perimeter of the device. The translucent top piece is not only a protectant, but it is an electrostatic membrane that allows you to touch the screen. More on this later. 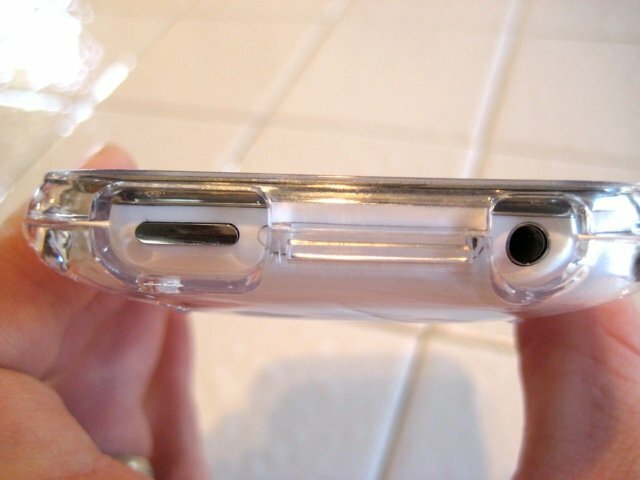 Once your iPhone is encapsulated by the case, it is fully protected. That doesn't mean you can drop it in water, it means that 95% is covered. There are still needed openings for the Home button, speakers, power button, etc. How does this device work on a daily basis? Let's start with the basics: the touch screen. I have to admit I was a little leery of using a case that covered my touch screen. However, there is no need to fear, the device responds perfectly fine. The case is designed with such precision, the touch screen lines up beautifully with no gaps; even the home button is exact. Kudos to Case-Mate. The only distractor I could find is sometimes that the too screens just barely touch, So sometimes, there are sections of the case and touch screen that meet and it can leave a somewhat distracting "bubble" on the screen. To be honest though, if you touch it, it typically disappears and probably won't cause too much distraction. I have myself trained that I use the power button to turn by iPhone on and off. I don't use the home button, just the power button. This has been a challenge because I find the the power button is recessed a little too far for my "fat" fingers. But hey, I embrace change, and pressing the home button to boot up is a satisfactory second place. I have found all of the other opening sufficient for what they do. 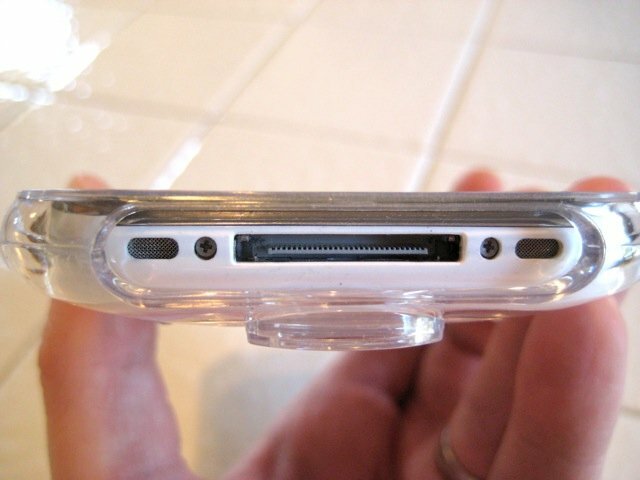 I can easily access the ringer switch, volume controls, camera lens, headphone jack and docking port with ease. The case adds minimal bulk to the iPhone. I am not one to usually have a case attached to my phone all the time; I typically slide it in and out of a case. However, with the very thin form factor of the Naked- Case, I could still easily slide it into my pocket with no worry of it being uncomfortable or bulging out too much from my pocket (ok, no jokes here). Touch screen works great with case!